The story is told of Rabbi Eliezer Silver who once asked a Holocaust survivor to join a join a minyan (prayer quorum of ten men over the age of thirteen). The sun was about to set and soon it would be too late to pray. The man scowled and refused. The rabbi asked him why his reaction was so negative and he replied that in the concentration camp he had seen a Jew who managed to conceal a book of Psalms and was “selling” the privilege of praying from it to those willing to pay with a slice of bread. This had infuriated him and from then on, he lost all respect for that man and for religion as a whole. The bitter man was taken aback by this novel approach. A new perspective was revealed to him. It took a few moments for him to digest it but then he nodded and joined Rabbi Silver to complete the quorum. What a polar difference in viewing the same incident! It was so great that it had the power to effect a total change of heart and a new perspective on life, from a bad eye to a benevolent, favorable one, which stood by him for the rest of his life. It works both ways, however. A person’s thoughts influence his speech while his speech also affects his thoughts. A person who trains himself to speak only good about the world in general, while distancing himself from speaking evil against any one and anything, will become a good person in his very essence, and his thoughts will follow that path accordingly. The external will influence the internal. Thought is not a natural and mechanical discharge of the brain; it is not automatic. A person has the power to rule over her thoughts and direct them to the desired channels. An accumulation of negative thoughts and feelings stemming from an unfavorable outlook on the world can actually pollute and poison a person from the inside, while a pleasant disposition acquired through kind and favorable thoughts and positive words about his surroundings, and the world at large, and about one’s spouse, serves to cleanse and purify a person’s personality, transforming her into a happy, goodhearted person. It will make of her one who is healthy both in body and mind. So we see that one who allows her thoughts to center on negativity is slowly poisoning herself, while one who trains herself to see the good in others, especially in the members of her family, will enjoy a happy life which will reflect upon her family as well. Here is a piece of good advice in acquiring a positive outlook towards those around you, especially your husband. First, make a list of all of your husband’s good points, leaving space be-tween each entry. When you are finished, make brief notes underneath each entry (like headlines on a newspaper article) with examples and proofs exemplifying that trait. This addition will do wonders in convincing you and rein-forcing awareness of the good traits of your husband that you listed. Next, choose those traits where you feel your spouse not only excels but is even is stronger than you. This will help you to realize, if you did not do so before, that not only does your husband have wonderful traits that you may have been taking for granted, but that he is one or two notches higher than you in several things and there is room for improvement in the way you treat him. Finally, draw up a list specifying the positive side of the faults he actually has. For example: if the husband is too apathetic towards her and the children, the positive side is that he doesn’t lose his temper or get angry like many other husbands and fathers do whenever there is tension in the house. If he is a little too fanatical, this is a sign that he is attached to her. If he is an aggressive type, at certain times this can be put to good use in his role as protector of the home and outside threats. Continue this process for all the traits listed. A new way of thinking builds a fresh perspective. From here, it’s a short trip to a happy marriage. There are two flying insects with a tremendous difference between them: the fly and the butterfly. The fly seeks open sores and filth and lands on them, while the butterfly is attracted to colorful and fragrant flowers. The one goes for the rancid taste while the other tastes sweet nectar. 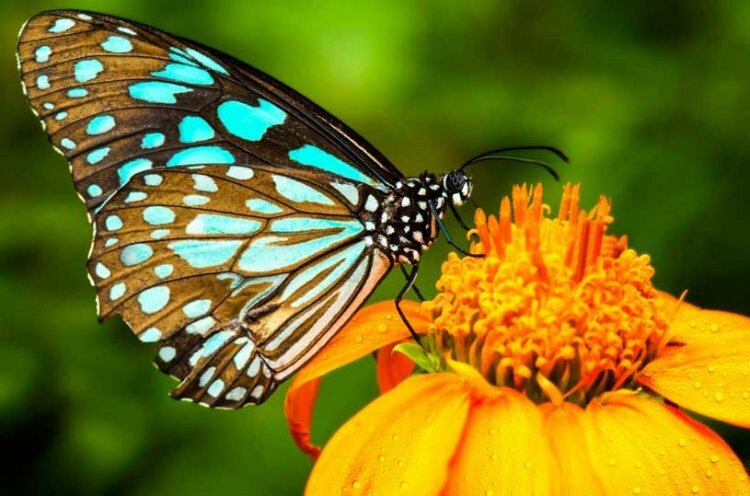 Fortunate is the one who chooses to see the good in the other, like the tourist, and enjoy the sweetness of nectar in his home, like the butterfly. The one who acts like a spy, seeking weaknesses and shortcomings in the other, or looking for what is spoiled and malodorous, will find that his attitude projects onto his life. When it comes to a woman’s choice on how to view her husband, one has a happy life, while the other suffers bitterly. The choice is ours.